Learning from the tutorials, the college graduates were able to build production ready programs with LANSA by the second week. Customer Bemis Manufacturing Company, with 1,600 employees, is an international manufacturer serving markets worldwide. Challenge Modernizing a legacy ERP system and redeveloping a few thousand PC applications to become an integrated part of that ERP system. Solution Existing IT team and newly recruited college graduates use LANSA to gradually redevelop and consolidate the legacy ERP system and standalone PC applications. Key Benefits Improved productivity and effectiveness of decision making for users. Happy and very visible IT team, sponsored by CEO. Some IT departments who use older development languages (like COBOL, RPG, Delphi, PowerBuilder or Visual Basic), seem to get caught in a self-fulfilling downwards spiral. It may start with a few developers who don’t want to learn anything new, or who are not given a realistic opportunity to do so. User requests for modernization and innovation are not met and eventually this results in shadow IT, users creating their own solutions. The ERP solution, the platform it runs on and even the developers that support it, are getting a negative 'legacy' image. The system goes officially into ‘maintenance mode’ and efforts are being focused on getting off the platform, starting from scratch with something new. Bemis Manufacturing decided on an upwards spiral capitalizing on its existing infrastructure, but redeveloping where needed. Bemis' existing IT team trained in LANSA and has delivered one successful project after another. Four IT college graduates joined the team, getting themselves familiar with LANSA in just a few weeks. The business solutions the team delivered with LANSA have resulted in productivity gains of over 20% and contributed to more effective decision making. Bemis Manufacturing Company is a family-owned business that traces its roots back to 1901. Bemis produces and markets bathroom products, custom plastics, healthcare products and precision parts under its own brand names, as well as producing private-label products for a wide variety of industries. Headquartered in Sheboygan Falls, Wisconsin, USA, Bemis has grown to become an innovative international manufacturer serving markets worldwide. At the core of its business are bathroom products and Bemis is the largest toilet seat manufacturer in the world. In the early eighties, Bemis started out with the PRMS ERP package on an IBM S/38, but the solution has been so heavily customized over the years that it can hardly be called PRMS anymore. Susan Leonard, Director Systems, Programming & Operations, estimates that at least two thirds of Bemis’ ERP solution consists of custom code. The ERP solution, now running on IBM i, was developed over a well-designed database, but the programs themselves had limitations, especially the user-facing programs. Users often had to open multiple programs to collect the data they needed, enter peculiar acronyms to navigate to specific information, or step through consecutive screens to finally get to what they wanted. Also, traditional coding techniques didn’t allow documents or images to be hyperlinked to the information in the ERP system. In addition to the ERP system, there were a few thousand MS Access, MS Excel and other PC applications that were never supported by IT. These shadow IT solutions, mostly standalone applications in the manufacturing area, were the result of users resorting to all kinds of tools to get a solution without having to wait for IS resources. They were usually developed by the end users themselves, by IT students or sometimes by consulting companies. A few years ago, a new initiative started to 'Simplify Our Systems' (SOS). A cross-functional team came up with a list of 150 improvements that they would like the IT department to do to make the systems easier to use from their perspective. Bruce Hagen, Vice President of IT, explains "The improvements ranged from very simple to very complex. It was clear that most of them could not be delivered with RPG. Coincidentally we were receiving LANSA’s email invitations for Webinars and whitepapers and decided to have a closer look at it. We saw an opportunity to use the LANSA products to address the system simplification project, which today we describe as system modernization." It was clear that most of the required improvements could not be delivered with RPG. The development team. Back Row: Brian Mauk, Bill Justman, Dean Reinemann, Garrett Eaton, Scott Eickert, Brian Rettmann. 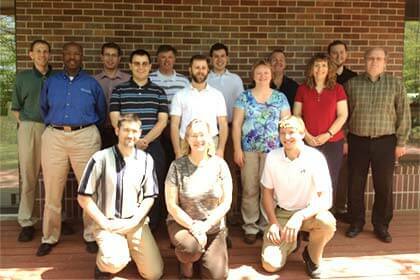 Middle Row: Calvin Steward, Kevin Welsh, Andrew Zastrow, Cindy Schuler, Stephanie Held, Dave Harms. Front Row: Michael Gallipeau, Gail Schroer, Troy Loberger. Bemis' eight RPG developers were then trained in LANSA. Most of them were also new to event driven programming and learning curves differed for everyone. Overall, they became familiar with LANSA fairly quickly. Stephanie Held, one of the programmers, said, "LANSA was quick to learn, especially if you have been exposed to other languages". The last four developers that joined the modernization team were recent college graduates, who didn’t attend any formal LANSA class-room training. "Learning from the tutorials, they were able to build production ready programs by the second week of employment" explains Leonard. “LANSA is straightforward and quite similar to what they had been taught in college." Bemis uses agile and scrum methodologies. Developers are split into three natural teams of four, each team working on its own project. The team members themselves make sure there is a balanced mix of experience in each team. Once a team has been told what their next project is, they do all the planning themselves. They break the requirements down into what is called 'user stories' in agile terminology and then into tasks that have hours associated with them. They focus on one month at a time, committing, for example, to five user stories. Using agile development methods is working extremely well for Bemis. Very early on in a project the IT teams start to schedule weekly face-to-face meetings with their business users to show them the project’s progress. Held explains, "Users not only get to see the programs, they actually get to interact with them. They can conceptualize the solution, discuss it in a group and provide really good feedback. Development has become a joint effort." 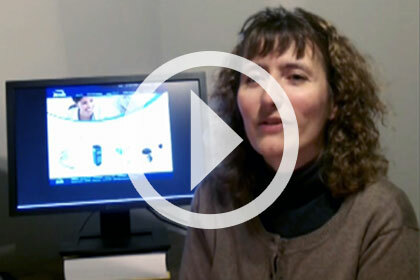 Stephanie Held, programmer at Bemis Manufacturing, talks about how LANSA helped to bring multiple disparate systems into one common user friendly system. IS arranged the modernization projects on the watermark of a tree, with essential manufacturing applications at the bottom of the trunk and less essential applications spreading to the top of the trunk and the branches. "A lot of the general modernization requirements were not specifically scheduled for, as you get them automatically when you develop with in Visual LANSA, such as being able to sort on columns, export to Excel and hyperlink to documents or websites," explains Leonard. As the teams started at the trunk of the tree with the manufacturing applications, they found that numerous procedures were duplicated and that multiple departmental/shadow IT versions existed. "Redeveloping those standalone mission critical PC programs, received priority over modernizing legacy ERP programs. There were many more benefits to be gained by consolidating them into one way of doing things and by integrating them with our ERP system," says Leonard. One of the larger MS Access database to LANSA consolidation projects was for Quality Specifications. This system provides operators with instructions how to produce a high-quality product. It may contain machine settings, pictures of good products versus bad products, packing instructions, and so on. "Users reverted to these kind of MS Access workarounds, because IT was unable to attach documents and images to our ERP system. With LANSA it was easy," says Leonard. "Previously there were six different ways of doing the same thing and data was stored in many different places. Today there is just one way, through LANSA. The system has been setup very flexibly, allowing for consistency across divisions, but also for nuances." Another project involves Capacity Planning. Users select the product, time period, machine size, tools and other criteria and press a button to let the LANSA application do the calculations and produce the graph. "Previously users would have to export data to a CSV file, reformat data in Excel, put in their calculations and create a graph. They had to do that every time they wanted to graph," says Leonard. "Now it is amazingly easy and far more accurate." A redeveloped forecasting system, the first stage already implemented, allows for forecasting of existing business, such as agreed contracts. A second stage, nearly finalized at the time of this case study, includes forecasting of potential business. It lets users import data from Excel into the LANSA forecasting application, simulate what-if scenarios and re-graph the data. Users can save different scenarios centrally linked to the ERP system and pull them up again later, saving a lot of time and reducing the change of errors. "We also redeveloped several legacy ERP programs in LANSA," says Leonard. "The new applications have tabs to navigate and buttons to export data to Excel. They are far easier to use and drastically reduce the need for training. For example, a quite complex work scheduling application was recently implemented at our Lenoir plant in North Carolina, without IT staff having to travel to provide training. Similarly, an Engineering Data Base (EDB) application that previously required experience and cheat sheets to use, now hardly needs any instruction." Other applications are totally new. Requesting time-off, for example, was previously a manual process. Now workers can view relevant rosters/time slots and apply for time-off at a kiosk in their lunchroom. This Visual LANSA Web application has simplified the laborious paper-based procedure with a simple online solution. In addition to applications for internal users, Bemis is also working on a B2C eCommerce project, called ‘Classic Colors’. It allows customers to select a toilet seat matching the color of the bowl from a large range of colors, including matches to bowl colors that are no longer produced. Customers can pick a few colors and have them mailed as real paint chips in the actual material of their chosen toilet seat. They can match the paint chips with their bathroom and pick the color they like best, go back online and finalize their order. The solution is expected to decrease the number of returns because of color mismatches. This project was done with LANSA Commerce Edition, a product that provides all the code for a standard eCommerce site. The site can then be customized with Visual LANSA. The new applications are far easier to use, resulting in over 100 business users spending less time learning and navigating the system. The LANSA applications have a consistent and intuitive look and feel. Moving between tabs, sorting on columns and Excel export buttons are now standard attributes. This results in over 100 business users spending less time learning and navigating the system. And with features like dynamic graphics, it has not only improved overall productivity, but also the effectiveness of users and decision making," says Hagen. Bemis' users agree. Wayne Pilz, who uses the EDB application, says his team can implement new product setup at a much faster rate than previously. Scott Willadsen, who uses work center scheduling, estimates the new system saves him about 20% of his time. He especially likes the way LANSA redraws charts when the data changes, giving an instant insight into capacity and trends and helping with decision making. Larry Rooker explains that although most of the individual ERP programs he previously used were fast, for certain tasks he had to open so many screens simultaneously, that on average it would still take him 5 minutes, while with the new system it may take about 5 seconds. "The word of mouth from our users in terms of how the LANSA applications have really simplified their work and how they look forward to developing new applications, has resulted in a lot of visibility. Our CEO has become a major sponsor and supporter of IT and LANSA," says Hagen. Likewise, the developers are also happy with the quality and productivity of their work with LANSA. "No one wants to go back to RPG, although at this stage RPG maintenance cannot be totally avoided," says Leonard. Leonard summarizes the overall experience of application modernization as very positive, but also warns that it is an evolution that takes time. "Initially there was resistance, especially from die-hard users of the 5250 (character-based) legacy interface, who had been doing their work in a certain way for over 10 years and thought that we could not possibly make them do their job any faster. But once users started to realize what kind of applications we could give them with Visual LANSA, they became very involved and started asking for more." With features like dynamic graphics, we have not only improved overall productivity, but also the effectiveness of users and decision making. Bemis Manufacturing Company, headquartered in Sheboygan Falls, Wisconsin, USA, is a family-owned business that has grown to become an innovative international manufacturer. Bemis has over 1,600 employees located in four countries around the world, serving consumer, commercial, medical and industrial markets worldwide. Bemis has a team of 15 developers, 8 with RPG experience, 4 recent college graduates, and 3 contract programmers, 1 with RPG experience and 2 recent college graduates.